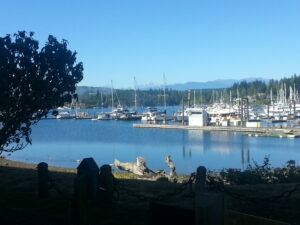 Port Ludlow. Photo by Kim Edwards. As a representative of Seattle’s tourism industry, I’m constantly challenged to find great group experiences to offer our clients. Seattle is home to many, but I recently discovered one that is quintessentially Pacific Northwest and ideal for a small sales or incentive meeting. The Resort at Port Ludlow is a two-and-a-half to three hour drive from downtown Seattle, and not accessible via a major freeway, so it’s easy to see how it can often be overlooked by meeting and conference business looking at Seattle as a destination. The Resort at Port Ludlow realized this and formed a strategic partnership with Kenmore Air, whose specialty is sea planes. 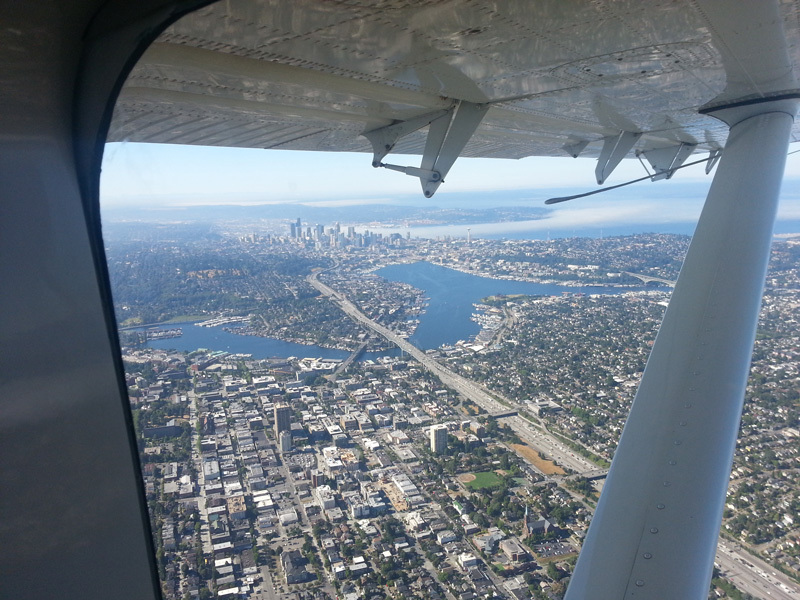 Now the trip to Port Ludlow is a simple 20-minute flight across the Puget Sound with some the most beautiful scenery in the world. 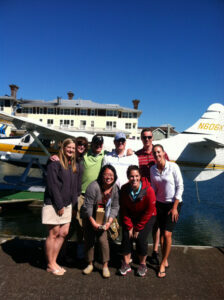 Accompanied by eight of my Visit Seattle colleagues who happened to be Kenmore Air first-timers, we loaded our golf clubs into the seaplane, absorbed the safety instructions told by Captain Chuck, buckled up and we were off. Headed north, we first flew out of Lake Union, circled over Gas Works Park, took a right over the University of Washington and Lake Washington before heading east over the northern neighborhoods of Shoreline and Edmonds. In the distance we could see Mt. Rainier, up north we could see Mt. Baker, and straight ahead of us the Olympic Mountain range. There’s simply no better way to fly. We proceeded to land directly in the bay at Port Ludlow, finding a small landing spot amidst several sailboats, fishing charters andkayakers filling the bay. It has to be one of the smoothest landings I’ve ever experienced, yet one of the most exciting landings at the same time. Who knows what to expect when you’re landing on water? which can adequately fit 40 guests. If you want privacy, it doesn’t get more private than this. The rooms were spacious and beautifully decorated, each with its own fireplace for that extra touch of coziness. The bathroom has a deep soak tub with windows that open into the bedroom area, should you want an open feeling. 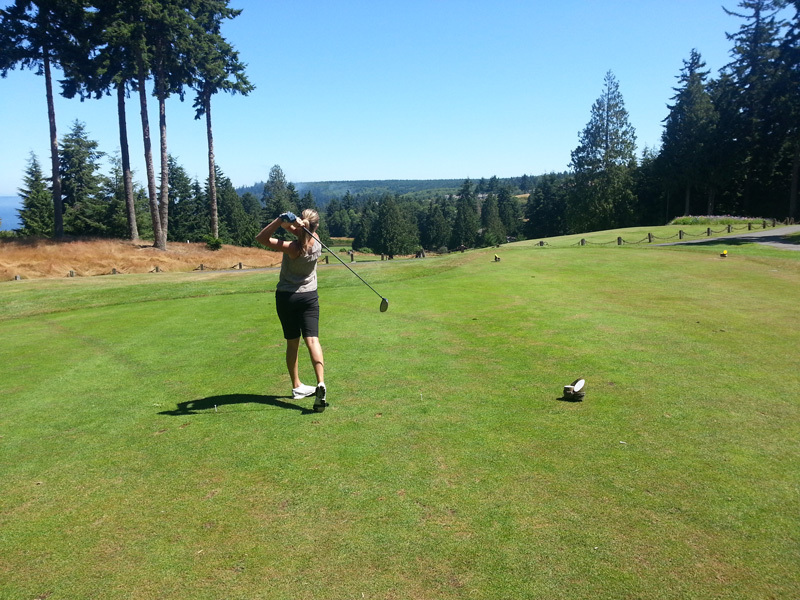 Kim tees off at Port Ludlow Resort. Photo by Troy Anderson. The golf course at the Resort at Port Ludlow wasn’t designed by a major name, but don’t take it for granted, as it is not an easy course. Stunning views of the bay and mountains accompany most holes and lush forest border the course and some of the houses as well. My only regret is that we only got to play nine holes instead of all 18! After our round of golf, we headed back to the resort where we reconnected with Susan for lunch. The staff at the Resort at Port Ludlow pride themselves on a farm-to- table approach to eating and they are passionate about this. In fact, Dan, the Executive Chef came out and described not only the dishes he prepared for us, but what farm they came from and when the food was harvested! Even the King Salmon filet was from a fish caught the morning prior from a fishing vessel 40 minutes down the road. I don’t even like Salmon that much, but I ate the entire thing and it was delicious! One of the many team building activities that Port Ludlow offers revolves around food. Guests can go out to the local farms and pick their own ingredients, and Chef Dan will prepare you a five star meal out of them. It is truly a hands-on experience. Returning home. Photo by Kim Edwards. 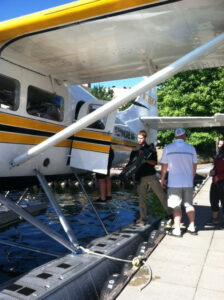 After lunch, we met our sea plane back at the dock and reluctantly got back on for the quick 15-minute trip home. We easily could have stayed for an entire week if we could have. The Resort at Port Ludlow offers small meeting and conference groups a unique and private meeting experience. You will feel at home in the spacious rooms, and be treated like family by the friendly staff. It seems like a place where everybody knows your name. All this, and the amazing scenery as you sit in the rain shadow of the Olympic Mountains on Puget Sound. Troy Anderson is a National Account Director at Visit Seattle. In his spare time he loves hanging out with his wife and son, traveling , golfing, wakeboarding, softball and living life to the fullest. Always looking for a new adventure.